I love google homepages. They are always really creative, original and a great way to learn about special days in the year. This one however has to be my all time favourite. 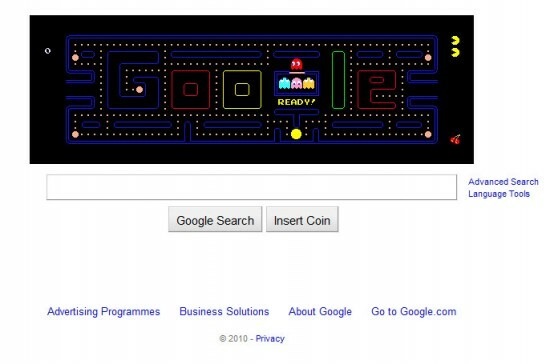 Its PAC-MAN’s 30th Birthday and to celebrate they have designed a google game for everyone to enjoy. Its great and even has an insert coin button for two players. Enjoy Everyone!